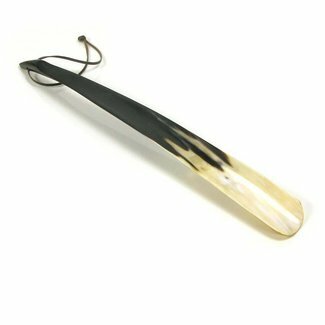 Beech Wood Shoe Horn 180mm, a convenient size shoe horn for ..
Beech Wood Shoe Horn 380mm, a convenient size shoe horn for ..
Leather shoe horn brown 170mm is made in France from nickel ..
Leather shoe horn brown 420mm is made in France from nickel .. 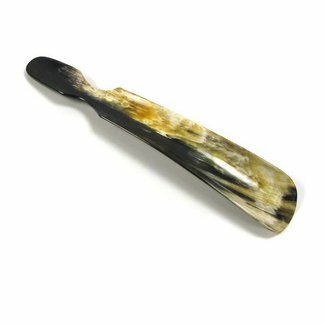 In order to be able to use your shoes for a long time, it is also important to use a shoehorn when putting on the shoe. 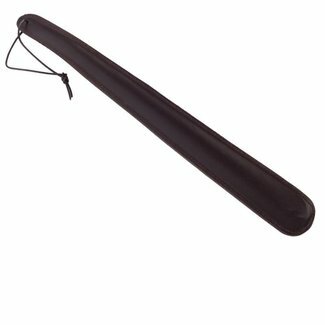 It is an effective invention. 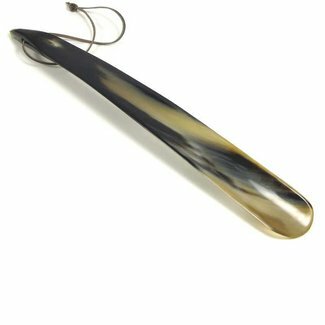 By using a shoehorn, your foot easily slides into your shoe. 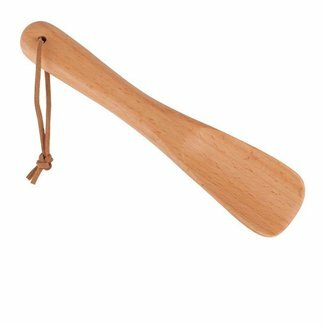 You do not have to wring your foot or hurt your finger to get the shoe on. 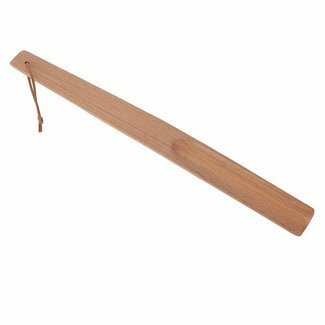 This effective tool also prevents you from pressing together the heelpiece of your shoes. 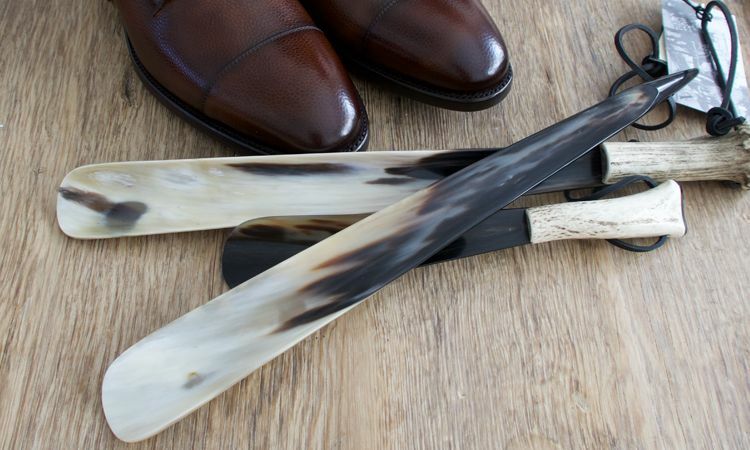 In short, there are many reasons to use a good shoehorn. 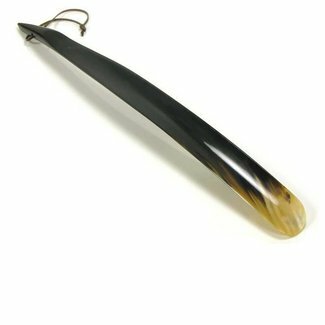 In our online shop, you will find all sorts of types, from long shoehorns to mini shoehorns. 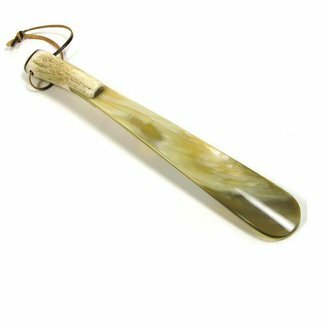 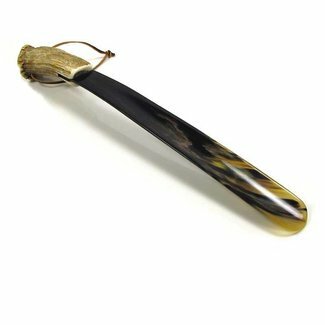 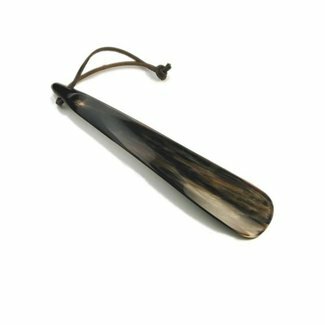 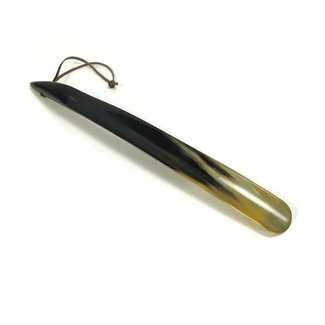 Would you like a striking variant, then the Saphir shoehorn with a brass-coloured animal head is a must. 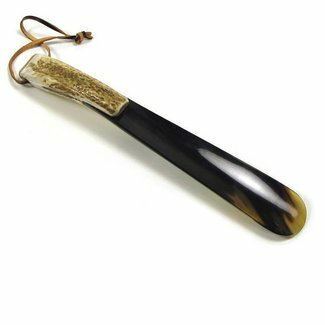 But you can also opt for a wooden or leather version. 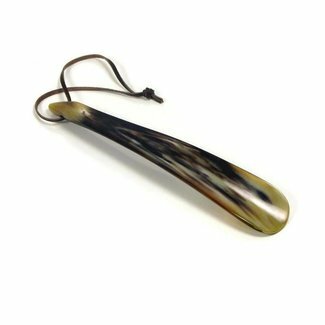 Even when travelling, it is useful to bring a small mini shoehorn. 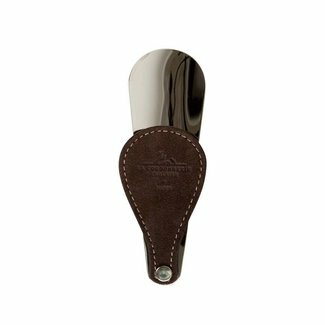 In our collection, you will find one of the brand La Cordonnerie Anglaise. 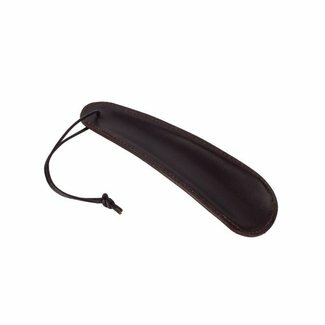 This metal version is equipped with a leather handle that you can fold. We have added a beautiful English brand to our collection that makes luxury shoehorns of real horn. 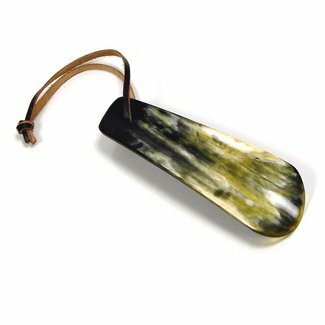 Abbeyhorn works with the residual product horn that comes from african ankole cattle. 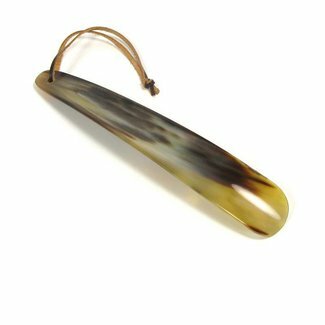 A shoehorn is made entirely by hand from the natural product. 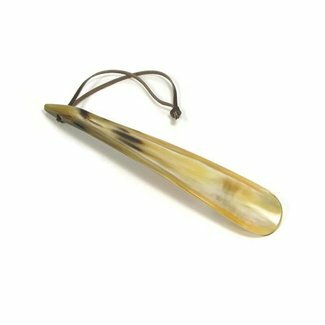 Each horned shoehorn is unique in colour. 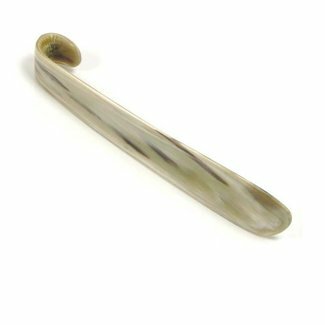 In the Quality Shop online shop, you will find a wide range of shoehorns. It is an effective tool, simple in shape and indispensable when putting on a pair of shoes. 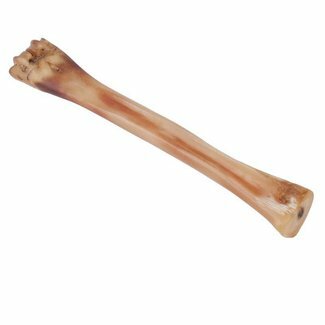 Ordering online is simple and safe and you will receive your order as soon as possible!